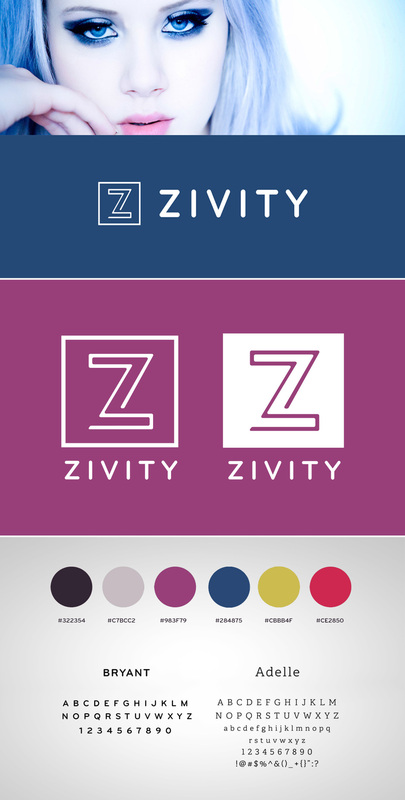 Oh man, there’s been a lot of exciting Zivity related stuff going on! Now might be a good time to show you all what’s been happening over here. A couple months ago, we redesigned the front page to feature all our best content, plus a new look and feel. Here’s what all of that looked like. I also was super excited when the branding I did for Zivity won a contest on Skillshare, and was featured on Design Work Life. Here’s some of that branding in action, but if you want the full experience, check out the style guide I made over at Design Work Life. Lastly, we redesigned the photosets page this week, and I’m really stoked on the results. The new page features dynamically changing colored UI- so each page beautifully compliments every photoset. I was specifically inspired by the ever rotating hair color of all our models, and wanted to have the pages of the site reflect this color based expression in a big way. I’m thrilled that we were able to find a way to make this aspect of my design a reality – dynamically and programatically. The page even detects what color the text should be, based on optimal contrast with the background color. I’m also curious to see how this informs the next round of design on the site. I’m looking forward to what comes next!